Karen Davila tests four residents of Quezon City for the April 20 episode of The Correspondents. Everything that voters need to know about the automated elections will be presented in the special election episode of The Correspondents this Tuesday (April 20) on ABS-CBN. Join Karen Davila as she puts a first-time voter, a housewife, a father with a reading impediment, and a septuagenarian to an election test that will reflect the preparedness of the public for the poll automation system. The four are residents of Baranggay Pansol, which has the second largest voting population in Quezon City’s third district. Other members of their community will also get to throw questions to the panel of officials from the Commission of Elections, Parish Pastoral Council for Responsible Voting, and Smartmatic, the group handling the machines to be used in the elections. Incidentally, news anchor Davila is one of only three Filipinos in the prestigious list of "Young Global Leaders of 2010." Part of her recognition is an invitation to the World Economic Forum to discuss global issues with other big names in different industries around the world. 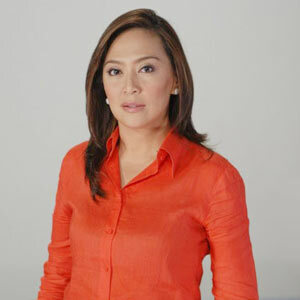 Watch her report in "Huntahan 2010" of The Correspondents, this Tuesday (April 20), right after Bandila on ABS-CBN.